Transhumance is the seasonal movement of people with their livestock between higher summer pastures and winter pastures in the lower valleys. 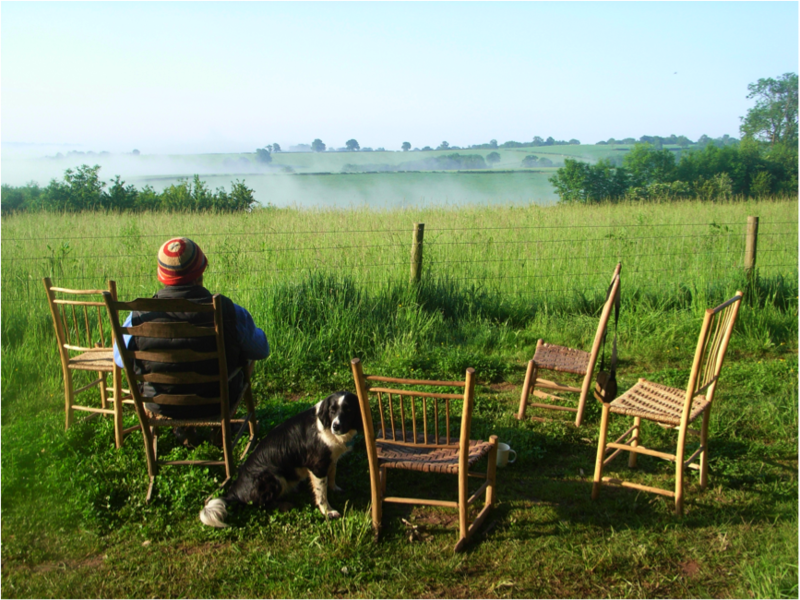 Since I established my enterprise at the end of September 1985, I have made such a twice-yearly journey, moving between my winter retreat and my woodland workshop for a series of summer green wood courses. To coincide with this 30th anniversary, I shall be saying a final farewell to Brookhouse Wood on the last weekend of the September. From 7pm on Saturday 26th there will be a celebration around a campfire on ‘the verandah’ at my woodland workshop, of music, song and merriment. Bring food and drink to share. Overnight camping will be available if you bring your own tent. From 1pm there will be a spit roast (plus vegan option) at the Majors Arms where you can buy a selection of good local beers and ciders with fabulous views across to the Welsh Hills. At 3pm the procession will lead to Greenwood Cottage where Mike will unload his belongings and visitors will be served with tea, cakes and scones. At 5pm the procession will lead back to Brookhouse Wood where visitors will be able to depart for home. If some of you would like to stay overnight for a quiet celebration of the Lunar eclipse, then please let us know.